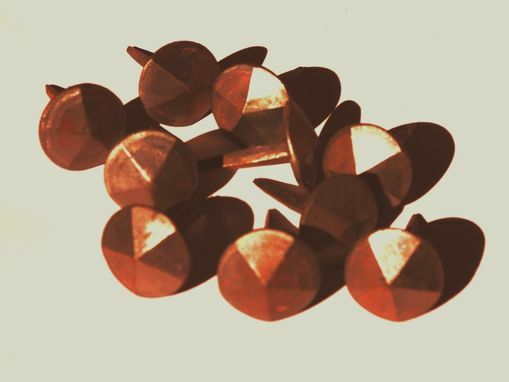 These hand-forged round diamond head steel clavos (nails) offer a perfect decorative element for a variety of woodworking and craft projects. They're ideal for Hacienda, Southwest, Ranch and other rustic styles. Available in four sizes. 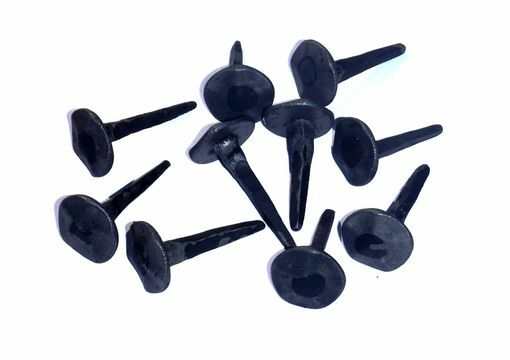 - Head diameters: 9/16", 3/4", 1" and 1-1/8"
- Standard plain steel finish. 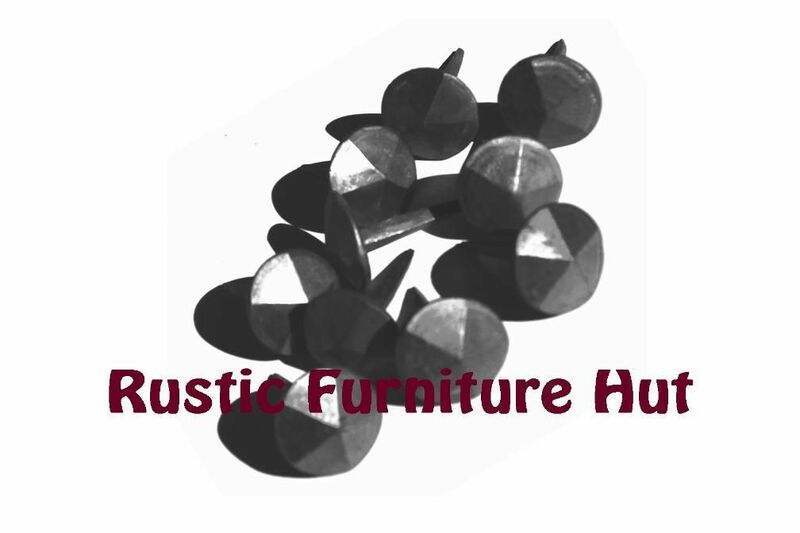 - Optional "rust" patina finishes with clear sealer. 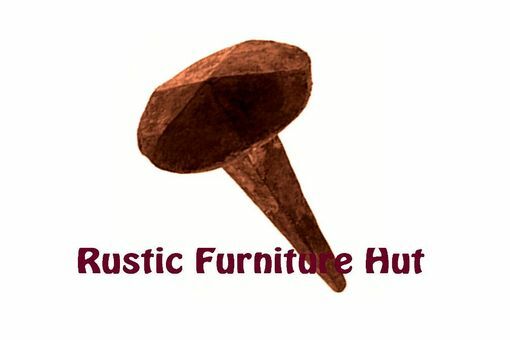 NOTE: The rust patina uses a hand-applied chemical process that requires additional completion time (about 1 week). 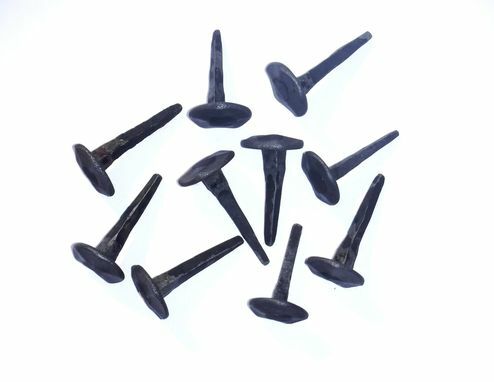 - Set of 10 nails.